Redefining the purpose of you pain your rebirth in Jesus name. My dear friend, this book is written to help you have a more in-depth reality about the walls we face, that are strongholds placed in our path to hinder us. But it is also about the power of a Sovereign God that gives us victory to fight the good fight of faith that produces our kingdom inheritance on earth and the one to come. Having such a mind wil lallow me to see with the eyes of Christ, being made over with holy hands will allow me to heal through the spirit of Christin me.The calling on your life gives you the weapons of your warfare so that your call to serve will not be hindered. 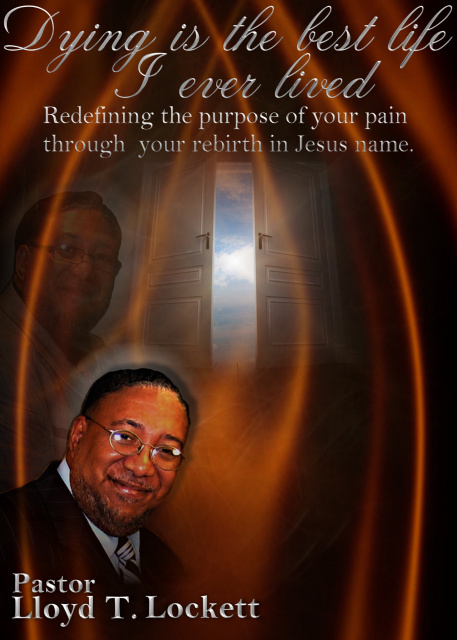 Pastor Lloyd Lockett now have a new book, Dying is the best life I ever lived. This apostolic books is full of spiritual healing. Biblical healing, personal development, spiritual development are all keys to your holy living. That is your gift from God.